Jacquelyn Dunn of Tooele will graduate from Brigham Young University in April. 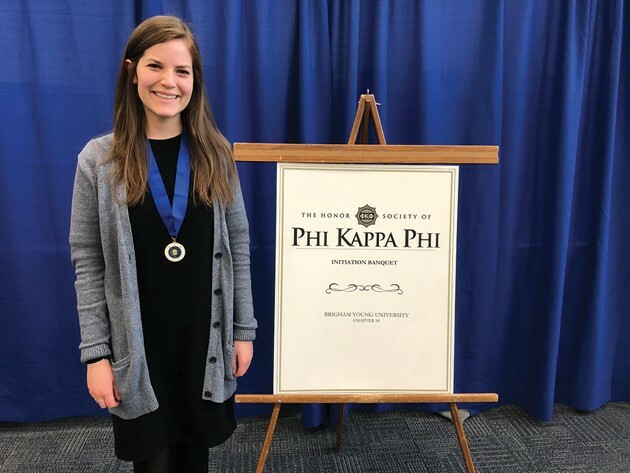 Jacquelyn Dunn of Tooele, Utah, was recently initiated into The Honor Society of Phi Kappa Phi, the nation’s oldest and most selective all-discipline collegiate honor society. Dunn, 24, was initiated at Brigham Young University where she is studying English and has a 3.95 GPA. She will graduate with a Bachelor of Arts degree in April, then leave for a summer internship with the Shakespeare Birthplace Trust in Stratford-upon-Avon, Warwickshire, England. 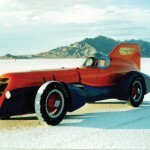 Dunn is the daughter of Bruce and Ruth Dunn of Tooele. She is a 2012 graduate of Tooele High School. She served a mission for The Church of Jesus Christ of Latter-day Saints in Barcelona, Spain, from 2013-14. Dunn is among approximately 30,000 students, faculty, professional staff and alumni to be initiated into Phi Kappa Phi each year. Membership is by invitation only and requires nomination and approval by a chapter. Only the top 10 percent of seniors and 7.5 percent of juniors are eligible for membership. Since its founding, 1.5 million members have been initiated into Phi Kappa Phi. Some of the organization’s notable members include former President Jimmy Carter, NASA astronaut Wendy Lawrence, novelist John Grisham and YouTube co-founder Chad Hurley. Each biennium, Phi Kappa Phi awards $1.4 million to qualifying students and members through graduate fellowships, undergraduate study abroad grants, member and chapter awards, and grants for local, national and international literacy initiatives. For more information about Phi Kappa Phi, visit www.phikappaphi.org.